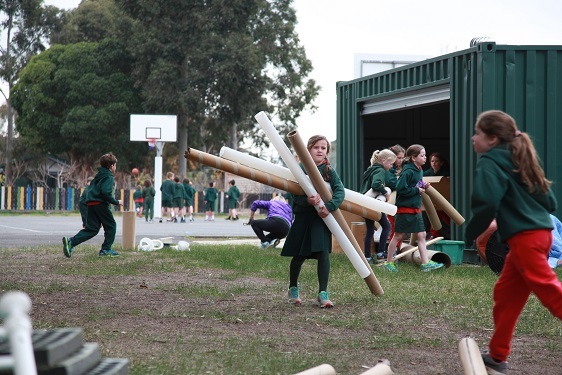 At Elsternwick Primary School our teachers plan, resource and deliver a comprehensive curriculum adapted from the Victorian curriculum in line with Department of Education and Training guidelines. We provide students with learning experiences that build on their prior knowledge and give priority above all else to developing and extending the fundamental skills and knowledge in English and Mathematics. Underpinning all our curriculum is rigorous planning and high quality teaching utilising evidence based teaching strategies. Complementing the English and Mathematics programs are our integrated inquiry units, which require students to inquire and explore, interact with others and participate in shared problem solving and group decision making. In order to develop the skills and dispositions foundational to learning for life we use five learning assets as developed by educational consultant and author Kath Murdoch.The five assets of Research, Collaboration, Communication, Thinking and Self – Management are embedded across the curriculum, meeting the General Capabilities disciplines within the Victorian Curriculum. 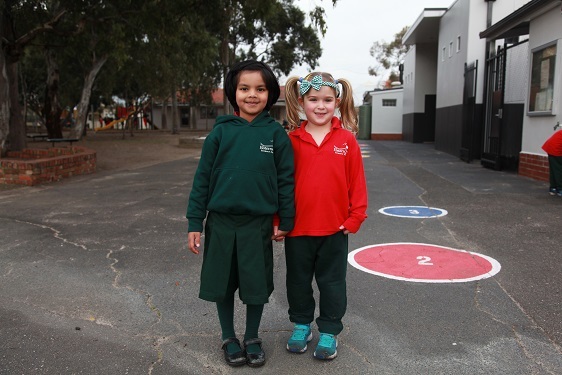 Accurate and comprehensive student assessment helps to improve student learning and outcomes and assists in establishing the future direction of learning at Elsternwick Primary School. In addition, assessment helps to identify areas of exemplary performance, as well as those in need of support and assistance and put plans in place to extend and support these students as required. The school’s Assessment Schedule provides an ongoing process to gather, analyse and reflect on evidence to make informed and consistent judgements for future learning with staff using a variety of assessment methods which provide evidence that highlights student strengths and areas that require further improvement. Teachers then use this information to guide their planning and teaching and to cater for individual student needs. Students set specific learning goals with guidance from their teacher which are closely monitored throughout the year. Students receive regular verbal and written feedback on their learning to ensure appropriate progress is being made. We provide detailed information to students about what we expect from them throughout the year and how their work will be assessed to allow for an effective student-teacher relationship. EPS currently uses Sentral, an online student learning management system for reporting to families which allows parents/carers to receive a mid-year summary and end of year summary report highlighting student’s development measured against their year level achievement standard. The Victorian Curriculum Achievement Standards outline the knowledge, skills and understanding that students are expected to develop and demonstrate through their learning, specific to their year level. Families are welcome to make an appointment with our teachers to discuss the progress of their child at any time during the year. To give parents the very best opportunity to be involved with their child’s education EPS provides two formal scheduled discussion times and two written reports through the year. Learn more about our students through discussion. Discuss the goals set for the semester/year. Raise any concerns they may have. Discuss ways in which parents/school can provide support to the child’s education. Increase their involvement in the reporting process. Take on greater responsibility for their learning. Reflect on their achievements in an open and honest way. Share information on their academic progress, as well as their behaviours and social competencies. Identify areas for improvement for future learning. In 2019, EPS will be investigate ways of reporting to families in a more timely manner to keep them informed. Developing and implementing a whole school instructional model can provide a key means of improving planning and thereby building teacher capacity and driving better teaching through the school. The purpose of our whole school instructional model is to provide staff with specific, observable and measurable pedagogical approaches and strategies and classroom practices, which improve student learning outcomes and are aligned with promoting current DET initiatives. As a learning community, we value the importance of school-wide approaches; which promote consistency in expectations, a sense of belonging for students, and provide a structure for improved academic rigour. All classes at Elsternwick Primary School follow the structure of our whole-school instructional model, developed by educational consultant and author Jane Pollock, and ensure students can identify the skills, knowledge and understandings we intend for them to acquire. This model of instruction is known as GANAG which is an acronym for a lesson planning schema where students learn to apply high yield strategies. 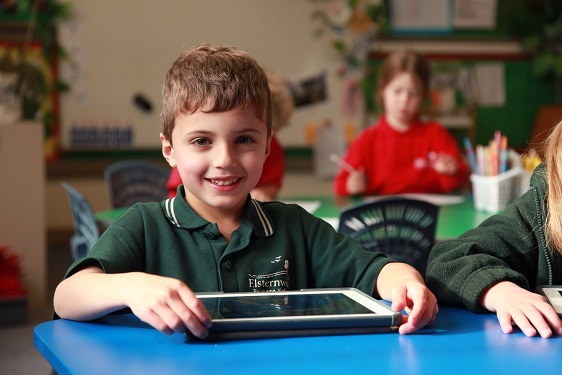 Providing students with the skills and knowledge to thrive in the 21st century is a priority at Elsternwick Primary School. We believe that the Digital Technologies Curriculum is best taught in an integrated and seamless way across the whole breadth of the curriculum. Design, create, manage and evaluate sustainable and innovative digital solutions to meet and redefine current and future needs. Use computational thinking and the key concepts of abstraction; data collection, representation and interpretation; specification, algorithms and development to create digital solutions. Confidently use digital systems to efficiently and effectively automate the transformation of data into information and to creatively communicate ideas in a range of settings. 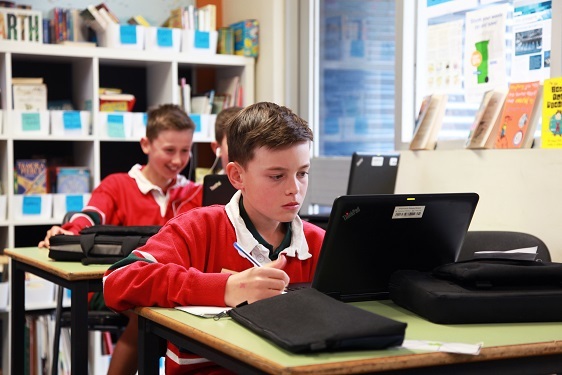 A key aspect of our Digital Learning Strategy is our BYOD (Bring Your Own Device) Program that is in place from Year 5 – 6 and our leasing program for year 3 – 6 students which enables our teachers to continue to provide a high quality educational experience and to ensure that students have reliable and up to date computers. 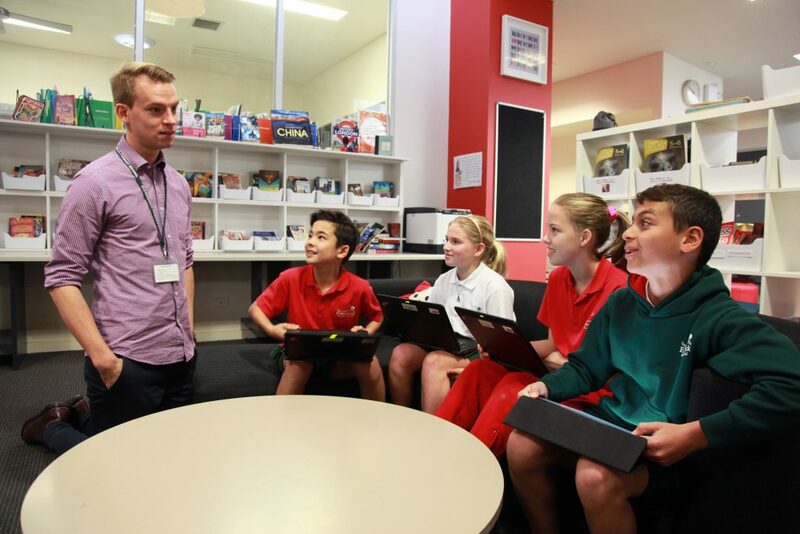 In addition to this, we have sets of iPads in each year level to allow students to access as well as create digitally rich products during teaching and learning sessions. The students engage in a variety of activities and use a variety of hardware, which include projectors, scanners, printers, digital cameras, robotics and video cameras. The school is continually investing in its technologies infrastructure. All computers are networked and have high-speed connections to the Internet. We are proud to have attained accreditation as an eSmart school through the ‘Alannah and Madeline Foundation’s eSmart program’ in 2017 at EPS. We acknowledge that the Internet is becoming an increasingly dangerous platform for young people and, through our teaching and Digital Technologies programs, we aim to reduce our students’ exposure to online risks. Elsternwick Primary School offers many Specialist programs including Physical Education, Performing Arts, Visual Arts and our Language- Mandarin. These subjects are taught by trained specialist teachers in well-equipped learning spaces for a session each week. We also have a dedicated Library where students have weekly Library lessons run by their classroom teachers. At EPS, the aim of the Physical Education Program is to instil a lifelong commitment to the overall health and wellbeing of our students. Students participate in activities that foster friendship, listening, sharing, helping, negotiating and caring. Individual, partner and group work situations are experienced in all are areas of the program. Elsternwick Primary School’s Performing Arts program aims to extend students’ skills, knowledge and enjoyment of music, drama and dance. 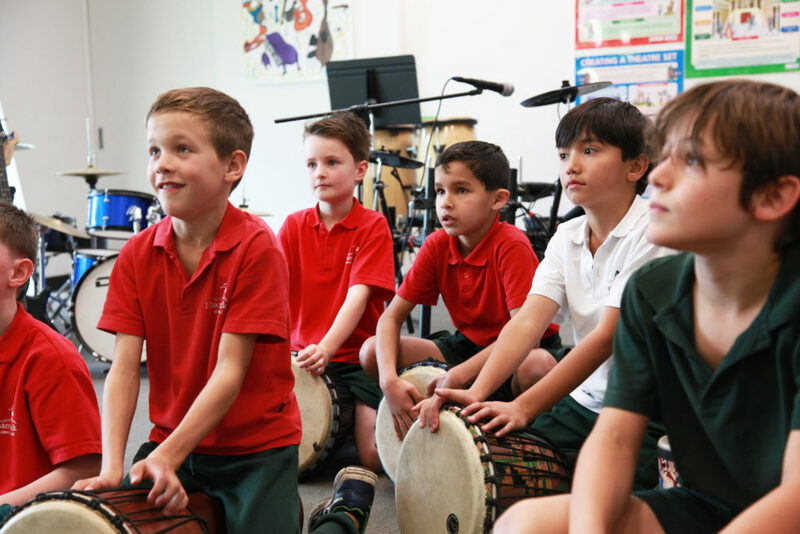 Students employ voice, instruments and body percussion to experiment with elements of music including tempo, dynamics and metre. Graphic and conventional notation is studied in increasing complexity, with students learning to create and read scores and chord charts. Through dance, dramatic play and music, students create mood and convey meaning, developing choreography, stage craft and composition skills that culminate in the design, direction and performance of ensemble productions. Body awareness and technical and expressive skills to communicate through movement confidently, creatively and intelligently. Choreographic and performance skills and appreciation of their own and others’ dances. Aesthetic, artistic and cultural understandings of dance in past and contemporary context sits relationship with other arts forms and contributions to cultures and societies. Confidence and self-esteem to explore, depict and celebrate human experience, take risks and challenge their own creativity through drama. Knowledge and understanding in controlling, applying and analysing the elements, skills, processes, forms, styles and techniques of drama to engage audiences and create meaning. Sense of curiosity, aesthetic knowledge, enjoyment and achievement through exploring and playing roles, and imagining situations, actions and ideas as drama makers and audiences. Knowledge and understanding of traditional and contemporary drama as critical and active participants and audiences. Confidence to be creative, innovative, thoughtful, skillful and informed musicians. Skills to listen, improvise, compose, interpret, perform, and respond with intent and purpose. Aesthetic knowledge and respect for music and music practices across global communities, cultures and musical traditions. Understanding of music as an aural art form, its relationship with other arts forms and contributions to cultures and societies. 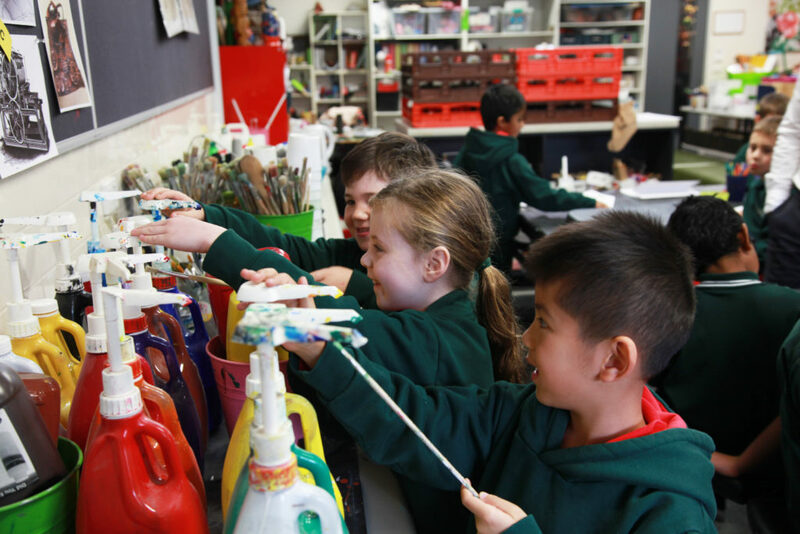 The Elsternwick Primary School Visual Arts program serves as a medium for each student’s self-expression and is designed to promote creativity and imagination. The foundation of our Visual Arts Program at EPS is celebrating art appreciation. Our students communicate their ideas and feelings, discover the art elements and principles, and practise the skills, techniques and processes involved in creating art, through the appreciation of an artist or an art style. There is an emphasis within the program to encourage individuality, to foster creative thinking and problem solving skills. Students are provided with opportunities which encourage exploration of a range of art elements, such as line, colour, shape, pattern and texture, and experiment with a variety of media and materials across a range of art areas, such as drawing, painting, construction, collage, sculpture, textiles and printmaking. Conceptual and perceptual ideas and expressions through design and inquiry processes. Visual arts techniques, materials, processes and technologies. Critical and creative thinking, using visual arts languages, theories and practices to apply aesthetic judgment. Respect for and acknowledgement of the diverse roles, innovations, traditions, histories and cultures of artists, craftspeople, designers, curators, critics and commentators. Respect for visual arts as social and cultural practices, including industry practices. Our specialist language program provides students with learning opportunities to acquire communication skills and develop an understanding about the role of language and culture in communication. Their reflections on language use and language learning are applied in other learning contexts. Learning languages broadens students’ horizons about the personal, social, cultural and employment opportunities that are available in an increasingly interconnected and interdependent world. The interdependence of countries and communities requires people to negotiate experiences and meanings across languages and cultures. A bilingual or multilingual capability is the norm in most parts of the world. Contributes to the strengthening of the community’s social, economic and international development capabilities. Extends literacy repertoires and the capacity to communicate; strengthens understanding of the nature of language, of culture, and of the processes of communication. Develops intercultural capability, including understanding of and respect for diversity and difference, and an openness to different experiences and perspectives. Develops understanding of how culture shapes and extends learners’ understanding of themselves, their own heritage, values, beliefs, culture and identity. Communicate in the language they are learning. Understand the relationship between language, culture and learning. Inquiry as an approach to learning has been part of the curriculum at Elsternwick Primary school for several years. Inquiry teaching and learning emphasises the need for learners to be; curious, independent, self – aware and active, which in turn promotes higher order thinking and deep contextual understanding. Teachers plan around the content of the Victorian Curriculum (History, Geography, Science, Health, Civics and Citizenship, Design, Creativity and Technology) using the E.P.S Through lines (Identity, Science and Technology, Citizenship and Social Responsibility and Environmental Sustainability) as conceptual organisers. A cycle of Inquiry is followed, where learning is scaffolded according to the needs of the students. In 2017 the Parents Association provided money for EPS to invest in a Playpod. This holistic process works with the entire school community to change both the human and physical play environment transforming play at lunchtimes. Full training and mentoring was provided to staff to ensure that all risk is managed but that children learn in a vibrant and challenging way through play. The Playpod itself sits towards the back of the school near the neighbouring canal. Materials are delivered several times a year by the Playpod team and old items discarded. All items in the Pod are recycled and the children use their imaginations to play with them. The excitement and energy in the playground when the Pod is open is palpable. The Learner Assets, skills and dispositions foundational to learning for life are embedded across the curriculum, meeting the General Capabilities disciplines within the Victorian Curriculum. Inquiry teaching and learning emphasises the need for learners to be; curious, independent, self – aware and active, which in turn promotes higher order thinking and deep contextual understanding. I-time, is all about the individual student, their passions, wonderings and asset development. This time provides the opportunity for each student to challenge and stretch their learning in the quest to discover what they need to build on, to become a SUCCESSFUL, INDEPENDENT LEARNER! A key focus of ‘I-time’ / Discovery time is to have students motivated and passionate about their learning by having the opportunity to pursue things that interest them and spark curiosity, to acknowledge ‘student voice’. Discovery time investigations for students in years Prep, One and Two are structured around negotiated contexts, student driven but criteria based. The teaching focus is on Asset (skill) and personal development (social, emotional, cognitive). You will often see students working and learning together in collaborative groups. 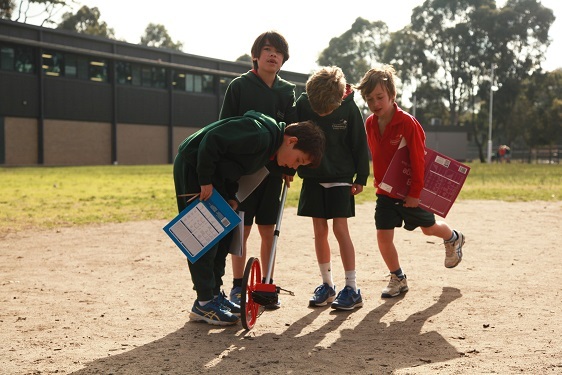 i-time investigations for students in years Three, Four, Five and Six provide opportunities for personalised inquiry which is student driven but negotiated with the teacher. In Years 3 and 4 the emphasis is on developing independence, planning and research. In Years 5 and 6 the emphasis is on connecting to concepts and significant content. The Melbourne Declaration on Educational Goals for Young Australians and the National Statement on Asia Literacy in Australian Schools provide a clear statement on specific goals for our students. These include gaining foundational and in-depth knowledge, skills and understanding of the histories, geographies, societies, arts, literatures and languages of diverse countries of Asia and their engagement with Australia. 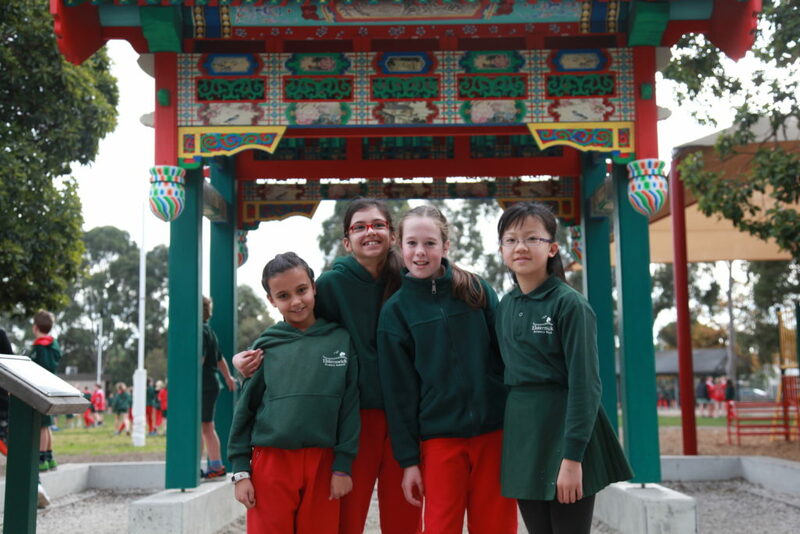 The most exciting outcome has been the establishment of our sister-school partnership with Bo’ai Primary School in Changzhao, Jiangsu Province, China. As international partners we share professional learning experiences, teacher visits, teacher exchanges, whole school student interaction through various ICT opportunities and student visits/tours both from China and to China. EPS has signed a Memorandum of Understanding on Cooperation between Friendly Schools. Reading and Viewing involves students understanding, interpreting, critically analysing, reflecting upon, and enjoying written and visual, print and non-print texts. It encompasses reading and viewing a wide range of texts and media, including literary texts. Reading involves active engagement with texts and the development of knowledge about the relationship between them and the contexts in which they are created. It also involves the development of knowledge about a range of strategies for reading. EPS has been fortunate to have professional development with renowned Literacy educational consultant Diane Snowball which lead to the development of classroom libraries in each classroom to accomodate a huge selection of texts and spaces creatively designed to engage all children as independent readers. 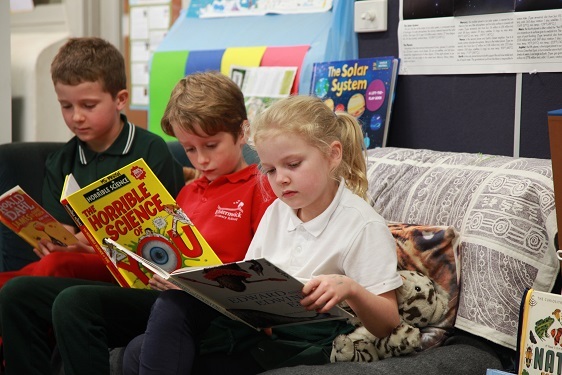 A range of teaching strategies are used within the daily Reading block which includes a focused mini lesson followed by the application of a skill taught during independent reading or in guided groups. 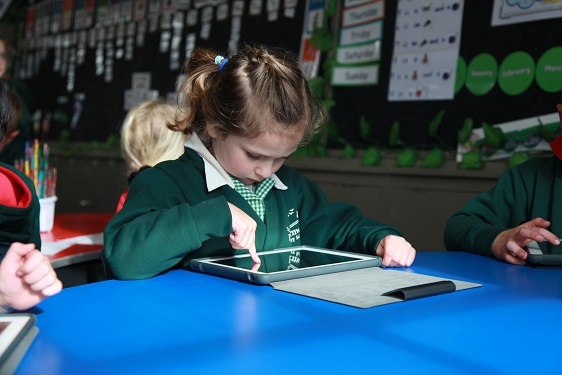 Mini lessons may include shared reading experiences, read a-louds, modelled reading, interactive reading and focus teaching of comprehension strategies using a range of traditional and digital texts. Teaching conferences with individual students are held regularly to set reading goals, discuss reading progress, provide on the spot teaching and check the range of text types read. Assessment using the Fountas and Pinnell Benchmarking system tracks the progress and growth of reading levels and comprehension skills. This data is used when planning to ensure students’ point of learning needs are the basis for construction of teaching sequences and that comprehension and fluency underpin classroom work. Writing involves students in the active process of conceiving, planning, composing, editing and publishing a range of texts. Writing involves using appropriate language for particular purposes or occasions, both formal and informal, to express and represent ideas and experiences, and to reflect on these aspects. It involves the development of knowledge about strategies for writing and the conventions of Standard Australian English. Students develop a metalanguage to discuss language conventions and use. The teaching of Writing at EPS is based on a range of research into best practice. The ‘6 + 1 Traits of Writing’ by Ruth Culham is the main text referenced by teachers and the pedagogical application of this work is embedded in teacher practice and supported through professional development sessions with writing consultant, Mardi Gorman from Melbourne Univeristy. Writer’s Notebooks are also a feature in most year levels as a tool for students to gather, keep and develop Ideas. Teachers use ‘Mentor Texts’ to engage their students and support them to notice the author’s craft related to the focus lesson. Throughout their primary school years, EPS students progressively take more ownership and responsibility for their writing, making decisions about the style of their writing depending on its purpose and the intended audience. Speaking and Listening refers to the various formal and informal ways oral language is used to convey and receive meaning. It involves the development and demonstration of knowledge about the appropriate oral language for particular audiences and occasions, including body language and voice. It also involves the development of active-listening strategies and an understanding of the conventions of different spoken texts. Speaking and Listening are embedded in most classroom activities. As students’ progress through the school they learn to become active listeners, listening for particular purposes and to use a variety of strategies when engaging in group and class discussions. Students learn the skills of collaborating, listening for key points and using this information to carry out tasks. They learn to express their opinions and respectfully consider others’ opinions. Students begin to ask clarifying questions and challenge others’ ideas. They plan for and create detailed spoken texts, elaborating on key ideas for a range of purposes and audiences. We adopt a positive growth mindset in Mathematics where all students are encouraged to recognise their effort and achievement in learning. All classes work with a set of research based Mathematics norms which help to develop a positive attitude towards learning. (Jo Boaler, Prof. of Mathematics Stanford University, ‘Mathematical Mindsets’, 2016).